The couple in this seemingly carefree photo shoot were actually ready to spring into action, knowing that waves are like thugs: never turn your back on them at the shoreline. Or at least keep a wary eye seaward. 1. 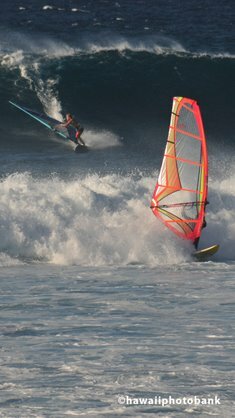 On high-surf days particularly, don't walk along the foam line or "wet reach" of any incoming set. Sloping sand increases the hazard. In this zone, you are in the reach of a rogue wave, a common larger wave among the others. 2. Watch them. If you react before the wave breaks, you can commonly out run it. 3. On reefs, stay well back of any rocks that are wet. Stay back of cliffs and ledges. 4. Along shore walks, observe the surf from a safer distance for many minutes to determine the conditions. 5. If you get swept away by a wave, don't try to fight your way back to shore---unless you are within immediate grasp. 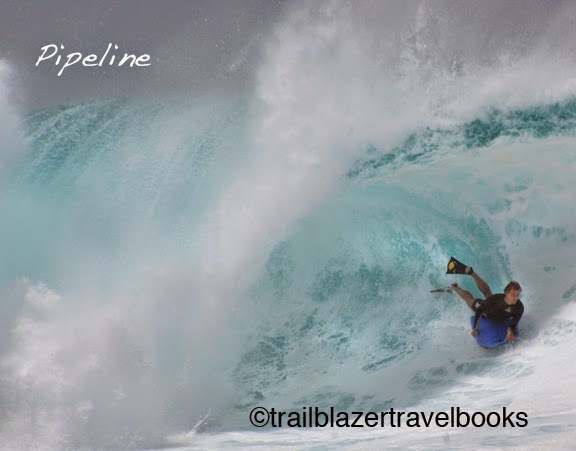 The currents will release you offshore, and Hawaiian Watermen (lifeguards) are among the best in the world. Try to stay calm. Helicopters and jet skis are on the way. Takeaway: No problem if you give it respect. For more "staying safe" tips on your Hawaiian vacation, read the No Worries Hawaii guidebook. 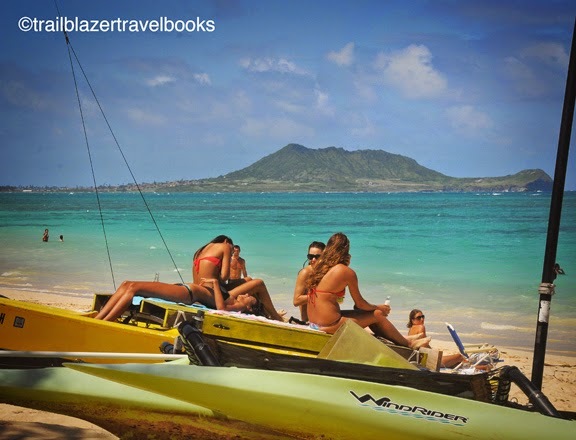 Waikiki may get most of the pub, but locals know Lanikai Beach on Windward Oahu is the place to see and be seen. Swimsuit models regularly grace the powder white sand for magazine shoots, though Lanikai's allure is there with no people present. Aquamarine waters give way to dreamy offshore landscapes: the Kaneohe Peninsula, the tiny seabird islands of Mokolea and Moku Manu, and the near-shore Flat Island. Kayakers head to the islands, though Kaneohe is an off-limits Marine Corps Base. The snorkeling is very good close in along the length of Lanikai, and kite-borders and windsurfers get pushed around by reliable wind. Lanikai is backed by a grid of modest (but pricey) beach cottages, but there's plenty of public access. Beach combers can walk for miles, first reaching adjacent Kailua Beach Park, with its acres of treed parklands, and then continuing along little-visited Kalama Beach, which stretches toward the military base. Some very good hiking is also close by. 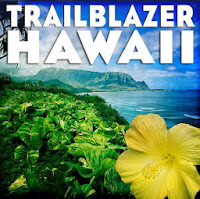 See Oahu Trailblazer, beginning on page 109 for more to do. 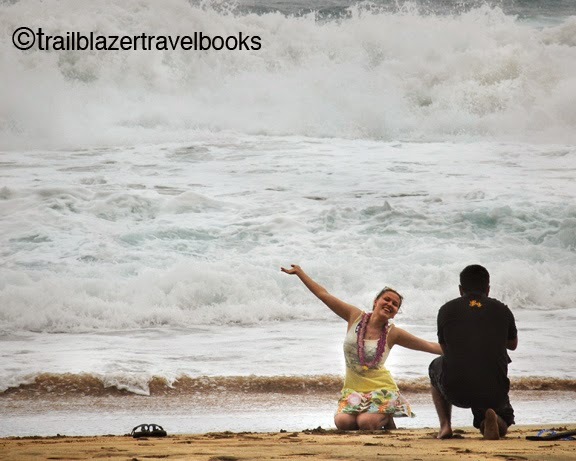 Hawaii's Beaches Slideshow: Trailblazer’s trip from San Francisco, California, United States to Hawaii was created by TripAdvisor. See another Hawaii slideshow. Take your travel photos and make a slideshow for free. 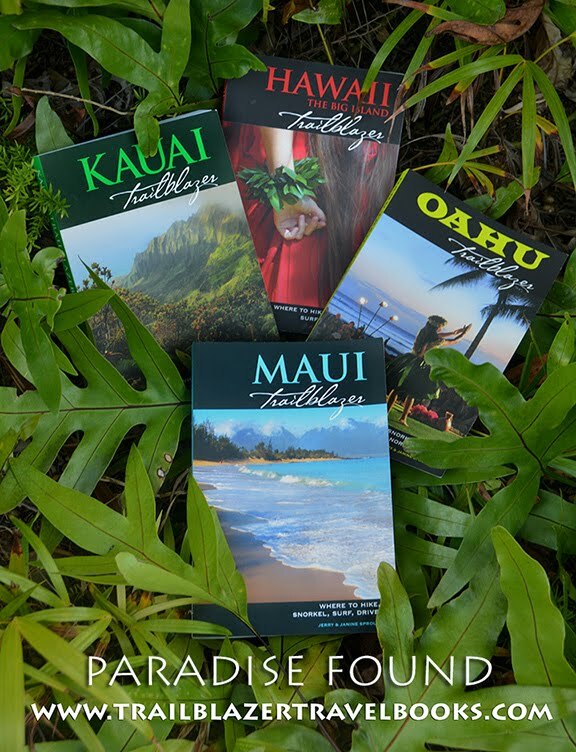 Find directions to all these beaches in the Trailblazer Travel Book guides. Thanks to a 1960 eruption by the volcano goddess Pele, which altered underground springs, visitors can take a warm dip at Ahalanui County Park on the remote Puna Coast east of Hilo. Until then the pool had been cool. The free park is just one of the discoveries on Hawaii's most underrated coast, which also includes the Kehena-Pohoiki Scenic Drive. A sun deck surround's Ahalanui's seaside pool, and coco palms shade grassy picnics areas. Check out page 160 of Hawaii the Big Island Trailbazer. In 1892, Hawaii was recognized throughout the world as a sovereign nation and the Iolani Palace was its White House. Artfully decorated from the monarch's world travels, the palace was also state-of-the-art construction, boasting electricity and telephones before its Washington D.C. counterpart. In 1891, King David Kalakaua died, and the country was ruled by his sister, Queen Liliuokalani. 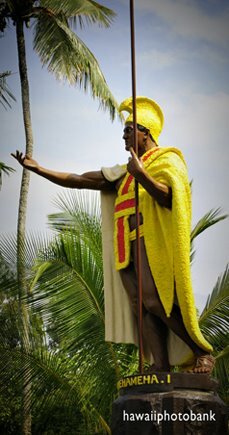 In 1893, American businessmen, who for generations since the Kamehameha monarchies had become intertwined in agricultural businesses and politics, made a power grab and seized the throne. When loyalists to the Queen protested, Lilioukalani was imprisoned in a bedroom of the palace. Then-U.S. President Grover Cleveland demanded that the monarchy be restored, but when he left office in 1898, new President McKinley annexed Hawaii to the United States. The issue remains an active. President Clinton formally apologized to Hawaii in 1993. For the Kingdom of Hawaii, Iolani Palace represents both great joy and great sadness—and today the tenor there is a bittersweet realm in between. 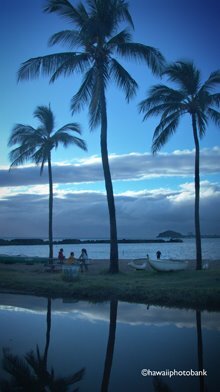 Tours are offered daily, and the grounds are not to be missed as part of a Honolulu walking tour (see Oahu Trailblazer, pages 31-39). On Fridays at noon, the Royal Hawaiian Band, which dates from 1850, treats visitors to a free concert at the Coronation Pavilion. In 1790, a defeated band of Maui warriors escaped slaughter at the hands of Kamehameha's invading forces by scrambling out of Iao Valley and taking a treacherous trail across the island to Olowalu Valley. Today, the trail is mostly overgrown, presenting a danger to hikers who take it. Olowalu is now an escape for road-weary tourists who pull off the highway north of McGregor Point on the way to Lahaina. 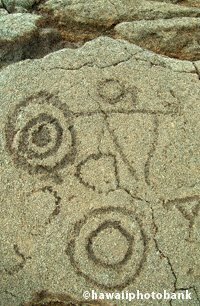 Inland are the Olowalu Petroglyphs (rock carvings) and the sketchy remains of the trail. 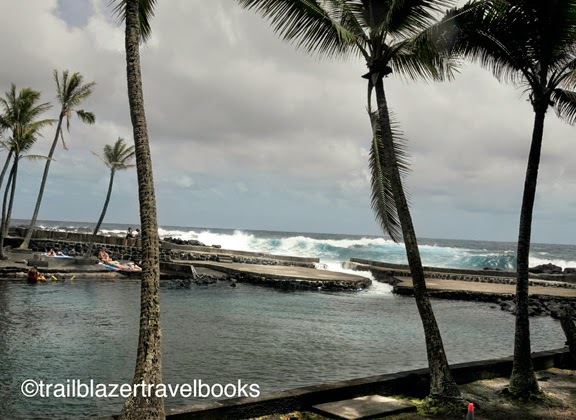 And seaward is the tranquil Olowalu Landing (pictured), a charming oasis that was the site of one of Maui's earliest sugar mills, established in 1864. Remnants are scattered about a small tropical arboretum. The earthen wharf at the landing creates coves for snorkeling and kayaking. The wharf is an excellent viewing spot, not only of the valley looming inland, but also of whales and sea turtles who cruise by fairly close to shore. 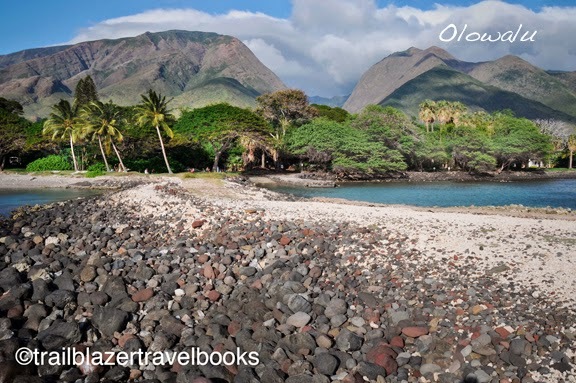 See Maui Trailblazer, beginning on page 58, for the deets on Olowalu. 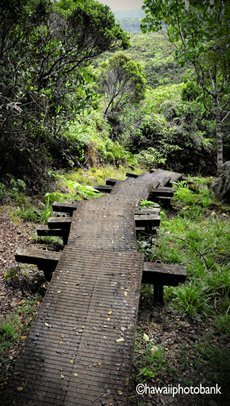 Directions to this trail on Maui can be found in your Maui Trailblazer guidebook. Start reading it on your Kindle in under a minute. When heading down the Sliding Sands Trail, bear in mind that you will have to hike back. 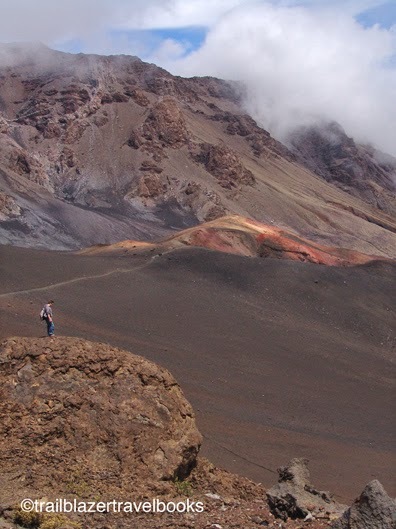 It's easy to be lured farther to overlooks and cinder cones, and then be left with a long trek back up, made more difficult by the elevation. Also be sure to bring plenty of water, emergency food, and clothing that will protect against extreme cold and heat, which may occur on the same day. And don't forget to make sure the camera is charged and the chip is empty, since photographers will get a happy trigger finger. Buy two or more Trailblazers and save big bucks. 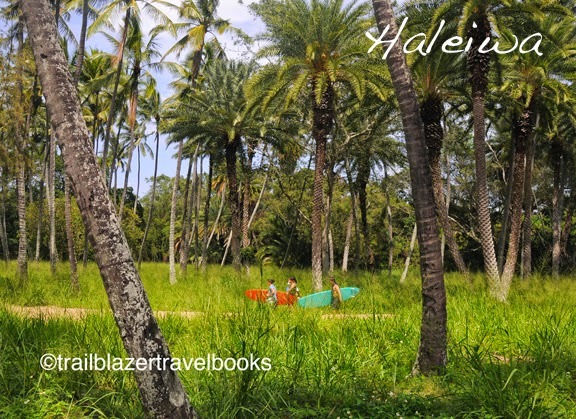 Send an email to trailblazertravelbooks@gmail.com, stating your name, shipping address, and the books you would like. We'll reply with an invoice, which you pay through PayPal or check. We try to respond quickly, always within 24 hours, and we turn around our shipping just as fast. 1. 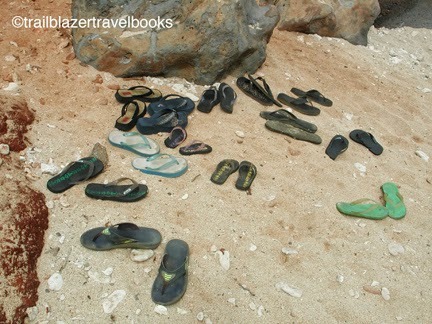 The flip flops (called 'slippers' in Hawaii) that accumulate near beach entrances are not free. They belong to people. You may, however, select from among the single slippers that are commonly washed up at the shoreline—and good luck trying to find a pair. 2. Turtles have the right of way, in the water and on the sand. Don't touch. You'll find the big reptiles on all the islands, but they are commonplace on the Big Island of Hawaii. 3. If you see a large-bellied creature on the sand—and it is not sunburned—stay back at least fifty feet. Hawaiian Monk Seals, the only mammals besides an obscure species of bat to occur naturally in Hawaii, like to sun themselves on the sand. 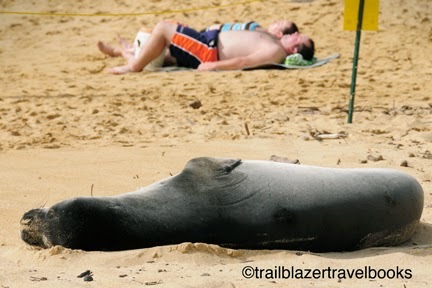 Kauai is the island that hosts the most seals, both at wild beaches and those with lots of people. Conservation groups put a rope barrier around the animals when a report is made, but at remote beaches this is not the case. 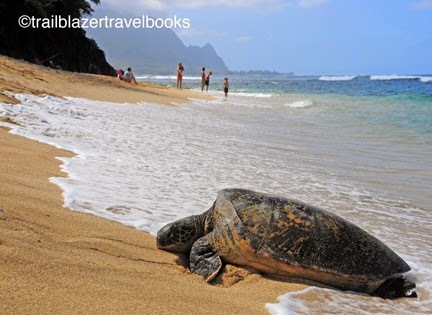 If you are interested in wildlife (not the kind that thrives on Kuhio Avenue in Waikiki) see No Worries Hawaii, a vacation planning guide that lists beaches and trails that are best for spotting creatures in the sea, on land, and in the air. Four of the world's top pro surfing venues are strung along a few miles of the rural Kamehameha Highway of Oahu's North Shore: Haleiwa Ali'i, Waimea Bay, Pipeline, and Sunset Beach. When the sandy-footed set is looking for a break from the beach, they head to Haleiwa. Don't expect the glitz and glam of Waikiki (or even Lahaina). 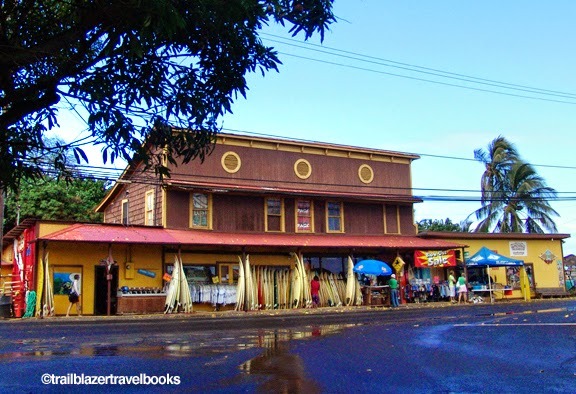 Haleiwa began in 1832 as a missionary settlement, and, even though escapees from Honolulu have sought weekend refuge here for more than a century, the place has retained its country vibe. An assemblage of wood-frame businesses are spread along a couple miles of beach-front parks. Most of the action is at the North Shore Marketplace, where you'll find the Patagonia store, that surfing great Rell Sunn helped set up in 1994. Coffee shops, galleries, and eateries draw well-heeled locals from the hills. Shave ice sellers at Matsumoto's and H. Miuras enjoy long lines of customers. 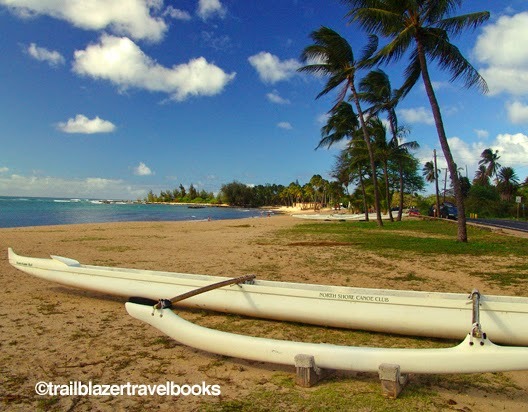 To get surfing lessons (Haleiwa has one of Hawaii's best breaks at Puaena) and gear, check of rustic Surf-N-Sea, next to the town's signature bridge. People watching, beachcombing, and canoeing are popular pursuits for visitor's not ready to ride the waves.